Fifty-year-old Sue Vasquez grew up in the harsh winters of the Midwest. She wanted nothing more than a life where she could spend more time with her husband, Carlos, enjoying sun and warmth. 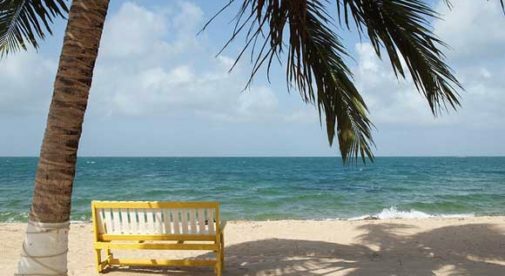 “We were drawn immediately to the laidback culture of Belize, and sunny days all winter long,” says Sue. Being years away from retirement, and still needing to work, Sue looked into moving to a place where she could work less and be steps from the beach. “I wanted to wake up each morning on the sea,” says Sue. Sue managed a few different businesses in Belize but always kept her sights on her dream of managing a small resort. Tourism in Belize is growing every year, and after three years, she found her perfect fit. She now manages a boutique micro resort located within Placencia village. It’s common here for managers to live right on site, so she now has a brand-new beach apartment where she can see the water from her front door. As this is part of her employment package, she lives there with no rent or bills. She loves her new career and has ample opportunities to kayak, paddleboard, swim, and bike. She woke up this week to watch dolphins swimming 20 feet from shore, and last month found herself paddle boarding with a manatee underneath her board. “Since moving to Belize, where biking and walking are our main transportation, Carlos and I have lost 25 pounds, and kept it off,” says Sue.